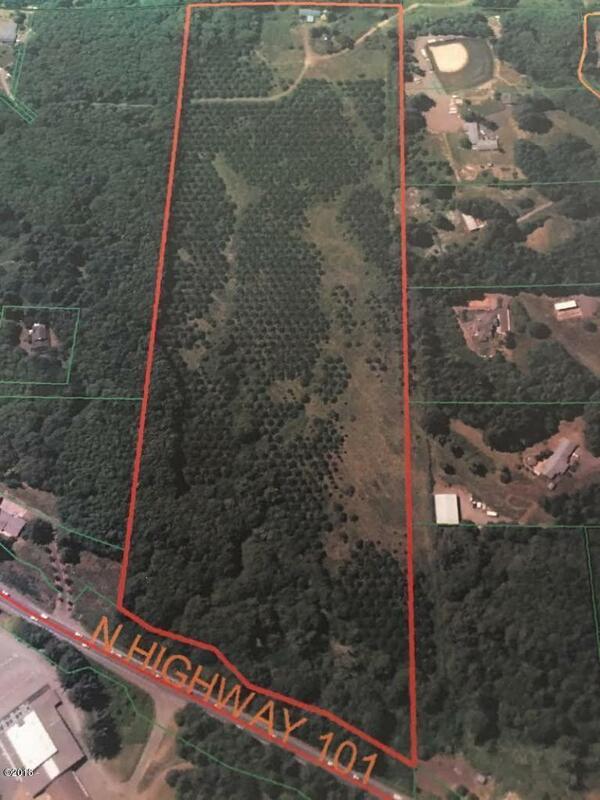 Over 30 acres with the possibility of future development. Highway 101 access with level areas for future subdivisions. The septic was recently pumped and passed inspection. Includes property ID: R69562, Tax Map #06-11-3600, Property is in the urban growth boundary and borders Highway 101. There is an old house on the property at no value. The property includes a large shop. Directions Property is located between Clancy Rd and the Chinook Winds Golf Course. Call for your private tour.